This week I’ve had loads of fun playing around with the all new ‘Director Mode’ feature, made available in the release of Star Citizen v2.6. In case you missed it, Director Mode is a new suite of camera controls and other extras. 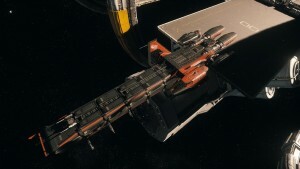 Besides giving the average gamer a new perspective, which I find incredibly useful when trying to part my new Drake Caterpillar, Director Mode gives content creators a powerful suite of fine control which can be used to create gorgeous photos and videos with much higher production value than previously available without cracking open CryEngine. Spectacularly gorgeous in terms of detail and rendering. Filled with content and gameplay possibilities. I genuinely can’t think of a better way to create buzz about Star Citizen than flooding the interwebz with tons of gorgeous content demonstrating how awesome it’s becoming. Coincidentally, the reputation of each of Star Citizen’s most vocal detractors slides further and further into irreparable damage, with each new piece of content demonstrating how absurdly wrong they truly are. To help you get started with Director Mode, I’ve compiled a list of the most important new key commands. For a more advanced look at this feature, check out the video by BoredGamerUK at the end!.